The story of the legendary T-34 can be traced to many tanks, but it has unquestionable ties to the BT series of fast tanks. The attempts to improve the existing BT tanks is what eventually lead to the development of the T-34. One of the first such improvement attempts was the BT-IS. It was previously considered that the BT series must use their superior speed to “defend” themselves, and therefore an ongoing development hoped to improve the BT’s mobility even further. A well known and desired feature of the BT tanks was their ability to drive either on tracks or on wheels (the so-called convertible drive tanks). However, the wheeled drive was only meant to be used on paved roads for logistical purposes, and was mostly useless in combat. 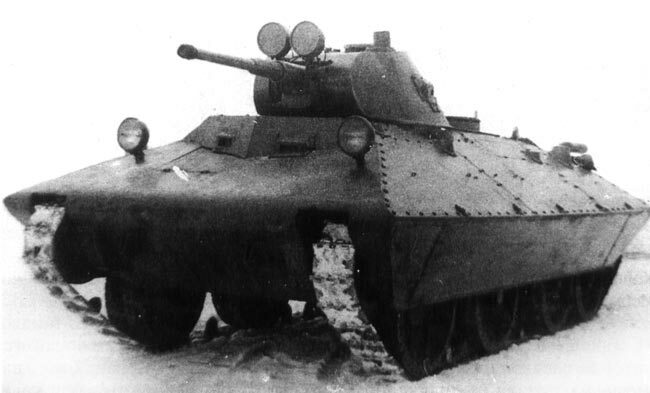 BT-5-IS prototype during trials, demonstrating its unique ability to be fully controllable without tracks and using only two pairs of wheels (the vehicle normally looked mostly identical to the BT tanks it was based on). In June 1935 a young and promising engineer by the name of N. Tsyganov built the first prototype of the BT-2-IS at the Kharkov Military District workshops. Essentially using a BT-2 tank as a base, the main difference was that the new tank had driveshafts going to the 2nd, 3rd and 4th wheel pairs (while the 1st, 2nd and 4th pairs steered). The letters IS stood for Iosif Stalin, unsurprisingly. After the prototype showed promise, Tsyganov was given permission to convert 10 BT-5 tanks into similar BT-5-IS tanks. The mobility of the BT-5, while by no means poor, improved tremendously. Not only the tank was now capable of off-road drive without tracks, it also was able to drive with a missing track or several missing road wheels (something the BT series was not capable of). Over the years, the new prototypes took part in extensive training and proved themselves worthy. The idea was further developed into BT-7-IS and the new theoretical BT-9 tank. Despite the fact that the tanks had some vulnerabilities (the new suspension was difficult to repair) the army committee decided to accept BT-IS into service. Plant #48 received an order for 300 vehicles to be made in 1938. This was not to be: during the purges in 1938 Tsyganov was arrested along with other members of his design bureau. The project was stopped. While improving the BT tanks, Tsyganov came up with a new clever protection design (probably not realizing at the time the impact sloped armor would have on tank development for years to come). Tsyganov designed a new hull for the BT-7 with well-sloped all-around armor and named it BT-SV Cherepakha (“tortoise”). 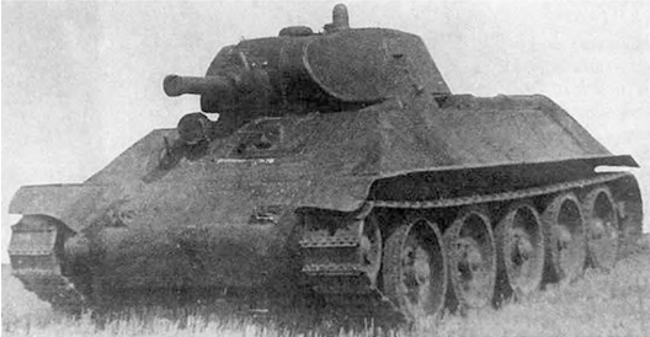 Like with his other designs, Tsyganov used existing BT-7 parts to design the new tank. The letters SV stood for the leader of the Soviet Union and a senior military commander, respectfully – Stalin-Voroshilov (whose names would later be used in naming KV and IS tanks). The only prototype of the BT-SV. Note the sloped armor covering the typical BT suspension. Two versions were developed – one with light protection up to 25 mm thick, and another using 45, 50, and 55 mm armor plates – incredible for its time! Unlike the BT series, the crew now included a 4th member – the radio operator sat to the right of the driver as there was no room for the radio in the turret. Only one prototype of the “light” version was built and tested in 1937, while the “heavy” variant remained on paper, and neither entering serial production. As the prototype was improved, it was renamed BT-SV-2. Supposedly, the project was to be continued with the heavier version, but was halted after Tsyganov’s arrest. 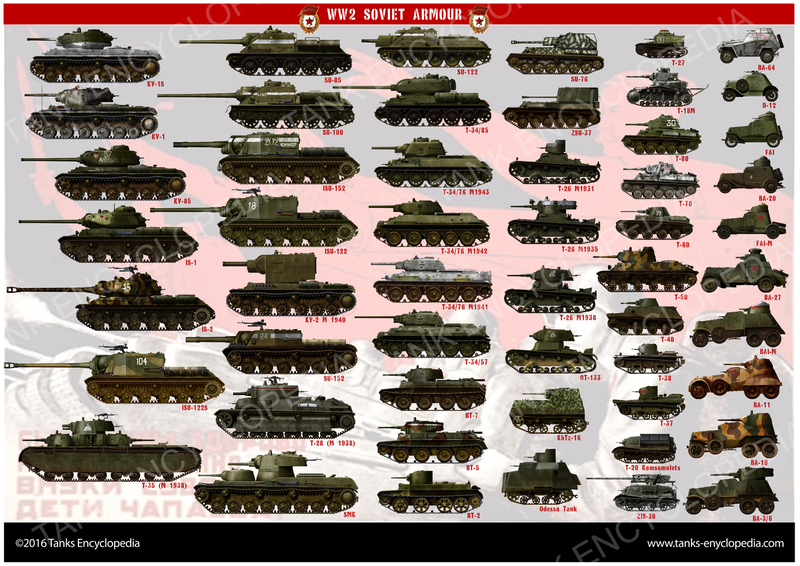 During the course of the Spanish Civil War (1936-1939) while the weapons of the Soviet vehicles in many cases were superior to their German and Italian counterparts, it also became painfully obvious that the armor of the Soviet vehicles was simply not sufficient to protect the crew from the anti-tank weapons of the time. After a review of current losses it was decided to issue a design order for a new vehicle. In October of 1937 Plant #183 (in Kharkov) was given an order to develop a new vehicle following a number of required qualities. The man who undertook this task (and would eventually revolutionize tank design) was Mikhail Koshkin, the director of Design Bureau #190 at that time. Koshkin worked closely with Tsyganov on BT-IS and BT-SV vehicles. He believed that “convertible” tanks with wheeled drive were unnecessary for combat, but he could not argue with senior military officers. Using existing parts of BT-7 and BT-7M, Koshkin led the design team to build a new prototype labeled BT-20 (which eventually became A-20). Just like the BT-IS prototypes, A-20 had three pairs of driving wheels (albeit with only the 1st steerable pair). 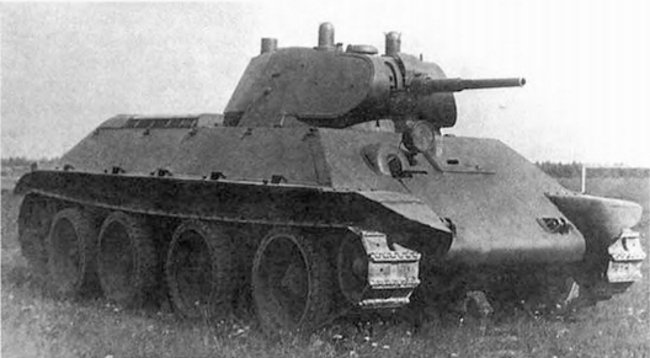 The turret, which was a mix of BT-7 and BT-SV, mounted a 45 mm 20K cannon. It had a crew of 4, just like the BT-SV. The armor plates were angled and varied between 20 and 25 mm. The tracks were now 400 mm wide (much wider than the 263 mm of the BT-7), improving mobility. The first and only prototype was built in May of 1939. It spent most of 1939 in trials and comparisons with its rival, the A-32 (read below). The A-20 did not have impressive armor or armament, but it did have excellent mobility. The senior officials, not able to pick one over the other, approved both new prototypes for serial production. As the Kharkov plant was already being prepared to produce the A-34 it could not accommodate the A-20 production at the same time, and eventually A-20 was dropped. One might think that the story of the A-20 ended there. In late 1941, as the German army approached Moscow, the A-20 prototype was fielded defending the city. Records show it being damaged and sent for repairs twice. Unfortunately, there are no records of it after December 1941 and what happened to it is unknown. While Koshkin worked on the A-20, he began to plan for an alternative version of it which would omit the “convertible” drive. This design would make the tank simpler and allow for more weight and thicker armor. This design was at first labeled A-20G, but soon renamed to A-32. The first A-32 prototype, with the L-10 76 mm gun (the second prototype had a 45 mm cannon). Compared to the A-20, the A-32 had similar armor, up to 25 mm, but it did have the potential for additional weight. To better distribute the weight, a fifth wheel pair was added, though the suspension design stayed mostly similar to its BT predecessors (as well as the original Christie tank). The gun installed was a 76 mm L-10 (not the 45 mm as on A-20). The tank was otherwise quite similar to the A-20, with the same 500 hp V-2 diesel engine and 400 mm wide tracks, and a similar 4-person crew layout. Two prototypes were built in the spring and summer of 1939. The tank weighed 19 tonnes, but performed well after being loaded with ballast up to 24 tonnes. After many trials and comparisons with the A-20, this tank needed a few more improvements before being accepted for mass production. The order from the Defense Committee approving the tank for production referred to it as the T-32 – this is the only mention of this designation. Technically, it was not the A-32 being approved for mass production, but the improved A-34 (read below). It is not known what happened to the two prototypes or whether they participated in combat. After A-32 showed promise, the design was improved further. One of the features which would prove important later on was its thick armor – now using 45 mm armor plates. The new L-11 76 mm gun was also superior to the L-10. Tracks were widened from 400 mm to 550 mm – another crucial detail which would give the T-34 an edge over the narrow-tracked German vehicles. Two prototypes were built in January and February of 1940. 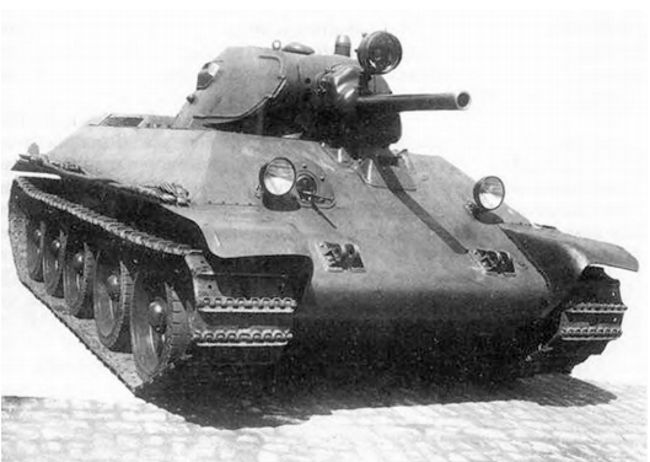 A-34 prototype #2 had an unusual “driver’s cupola” protruding forward – essentially a way to improve driver’s visibility (which was reported to be awful on prototype #1). This version was not accepted for mass production and A-34 prototype #1 was used instead. These tanks are sometimes referred to as the “pre-series T-34”. 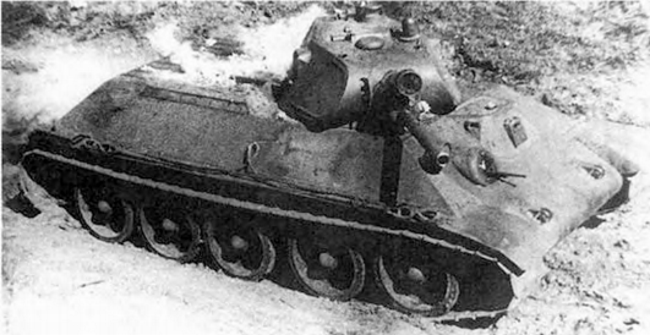 A-34 (pre-series T-34) prototype #1. This vehicle is nearly identical to the T-34 mod. 1940. After several trials Koshkin decided to drive both A-34 prototypes from Kharkov to Moscow – a risky move considering the relatively new design. This way he hoped to deliver the vehicles to Moscow while testing their endurance at the same time. The two tanks and support vehicles left Kharkov in March on 1940, avoiding large towns due to the project’s secrecy. After a journey through poor snowy weather and suffering a clutch failure the group eventually arrived to the capital. There, still maintaining secrecy, the vehicles were presented to high command. The demonstration was successful and Stalin approved the tanks for further improvement and production. Some senior officers, such as the deputy Defense Committee director Kulik and Armor Command (ABTU) commander Pavlov, were not as enthusiastic: the tank was yet not properly tested and had a notoriously cramped interior. A-34 prototype #2, its engine compartment being tested with flammable liquid. Note the experimental protruding driver’s position. The prototypes then proceeded to the range to be tested. During trials the tank was fired upon with a 45 mm cannon from 100 meters away. The cannon rounds damaged various viewing devices and compromised some welding joints, but no penetration occurred. During the driving portion the tank did not particularly better than the BT tanks – even with wider tracks the tank had difficulty putting pressure on the ground and under some conditions could spin its tracks in place. Nevertheless, the tanks overcame a number of obstacles, such as 1 meter high walls, 2 meter wide trenches, and apparently felled trees 70 cm (2 ft) in diameter. Flammable mixture was spilled on top of the engine compartment and burned, but it did not disable the engine (such tests required after the Soviet experiences against the Japanese at Khalkin Gol). Links in the evolution of the T-34, left to right: BT-7M, A-20, T-34 mod. 1940 (L-11), T-34 mod. 1941 (F-34). To complete their 3000 km (1860 mi) endurance run the tanks now had to be driven back to Kharkov. After the journey mechanics found a number of stress and fatigue related cracks. But by this time, on March 31st 1940 during a meeting of several senior officials (including the lead designer Koshkin) it was decided to go ahead with the production of T-34 (mod. 1940) at Kharkov’s #183 Plant and Stalingrad’s Tractor Plant (STZ). Work was almost immediately started on improving the turret and finding a more suitable weapon than the L-11 gun, but it would not be until 1941 that any improvements would be applied and only in 1942 the tank would be produced on a large scale. Sadly, Mikhail Koshkin, supposedly exposed to cold water while retrieving a tank during the return march, became ill and passed away in September of 1940, before his project could be fully realized. “Domestic Armored Vehicles. 20th Century. Vol 1: 1905-1941” A.G. Solyankin, M.V. Pavlov, I.V. Pavlov, E.G. Zheltov / Отечественные бронированные машины. ХХ век. Том 1: 1905-1941. А.Г. Солянкин, М.В. Павлов, И.В. Павлов, Е. Г. Желтов. “Domestic Armored Vehicles. 20th Century. Vol 2: 1941-1945” A.G. Solyankin, M.V. Pavlov, I.V. Pavlov, E.G. Zheltov / Отечественные бронированные машины. ХХ век. Том 2: 1941-1945. А.Г. Солянкин, М.В. Павлов, И.В. Павлов, Е. Г. Желтов. “Tough Armor: History of the Soviet Tank 1919-1937” Mikhail Svirin / Броня крепка: История советского танка 1919-1937. Михаил Свирин. An early T-34 with an L-11 gun. Why can’t I click on the images t make them bigger?